Prior to starting Bradbury Brothers, Michael spent eight years in investment banking, working for some of the largest firms in the industry, including Goldman Sachs, UBS, and Wells Fargo. Michael received a B.A. with Honors from the University of California, Santa Barbara and graduated from Rice University with an M.B.A. Prior to attending business school, he worked for the Committee on Ways and Means in the U.S. House of Representatives. Michael is an active member of the community. He currently serves on the board of The Woodlands Rotary Club and is a recipient of its Paul Harris Fellow Award. He co-chairs the annual Mike Ogg All-Montgomery County Scholar Athlete Awards and is a participant in Leadership Montgomery County (Class of 2018). He previously served as President of the Harris-Montgomery Counties Municipal Utility District Number 386. He supports and has been involved in numerous charitable activities and organizations, including Big Brothers, the Lymphoma and Leukemia Society, and the YMCA. Michael lives in the Woodlands with his wife Annie Sadler Bradbury and their children Jack, Michael, and Berkeley. They are members of the The Woodlands United Methodist Church. In his spare time, Michael enjoys playing golf and soccer, reading (particularly biographies), traveling, and cooking. The oldest of the brothers, Todd has been in the home service industry for over 25 years, covering nearly every aspect of the HVAC and plumbing industries. Todd is Bradbury Brothers’ HVAC license holder. He started out working in the warehouse while in high school, moved to new construction and retail installation while in college, as well as working maintenance and service before moving into the office as service manager. 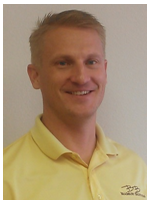 He brings extensive experience in sales and design to the company. Currently he oversees all retail operations for air conditioning and plumbing. When not working or enjoying time with family, Todd serves in the Army National Guard here in Texas. He is a Non-commissioned Officer currently serving in a Reconnaissance Troop as a Senior Sniper. In 2015, Bradbury Brothers made a huge commitment to our country by covering for Todd as he deployed to Africa. Todd graduated from California State University Northridge with a degree in Business Administration and Management. Todd is married to Carina and is the father of a daughter, Savannah, and a son, Nolan. He enjoys golfing, playing soccer, and long range shooting. 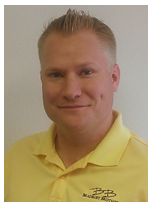 Jason has been in the HVAC industry for over 20 years, starting as a summer warehouse job in high school. After high school, Jason worked his way up to Lead Installation Technician while attending college. Jason worked full-time as a technician during the day and attended classes at night, allowing him to obtain the experience in HVAC and gain the education required to be successful in business. Jason graduated from California State University Channel Islands with a degree in Business Administration. After graduation from college, Jason overtook the accounting and administration position of his family’s company. He managed the accounting and purchasing division for three years. In 2010, Jason and his two brothers started Bradbury Brothers. 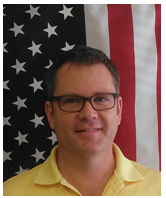 Jason is very involved in Service Nation Alliance, a national organization created by top HVAC, plumbing, and electrical contractors that is dedicated to best practices and continuous improvement in the business. He enjoys visiting other successful HVAC and plumbing business to learn new ways to improve Bradbury Brothers. Jason is married to Bethan and is the father of a daughter, Emerson, and a son, Camden. In his time away from the business he enjoys his very busy family time. Jason grew up playing competitive soccer and continues to enjoy playing recreational soccer locally. Jason also likes to golf and fish in his spare time. Jacki has been in the HVAC industry over thirty years starting as a controller for a large new construction HVAC company. She has been involved in the startup and running of three successful HVAC companies as well as the addition of plumbing to Bradbury Brothers. She currently oversees the marketing and training divisions of Bradbury Brothers, focusing on a well-known brand and a well-trained staff. Jacki was Contractor’s Magazine “HVAC Woman of the Year” and has numerous awards both in the contracting and business communities. She was President of one of the largest Chambers of Commerce in California, President of The Woodlands Kiwanis and has served on multiple community business, charity and education boards. 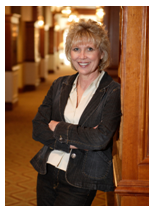 She has been very involved in BDR Women in Leadership for the HVAC and plumbing industry. She has been named Mentor of the Year in various industry organizations she has been involved with over the years. Jacki is married to Gilbert Guerrero. She is the mother of three sons (the Bradbury Brothers) as well as two step-sons. She and her husband Gil have eleven grandchildren that keep them busy. They are active members of The Woodlands United Methodist Church and very involved in local and global missions. 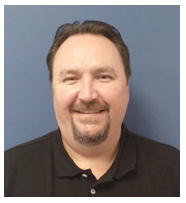 Ron has been with Bradbury Brothers since March 2015, and he has been in the heating and cooling industry for 28 years. In his 28 year career he has worked at Goodman Manufacturing building equipment, Carrier/Bryant Distribution as a Sales Center Manager, Carrier Commercial Services as a Service Technician, a Comfort Consultant, and at Goodman/Daikin Distribution as a Territory Sales Manager. He started working with Bradbury Brothers in 2010 when he was our sales rep for equipment manufacturer. He started as one of our Comfort Advisors and after two years became our Installation Manager. Ron’s day consists of scheduling and dispatching the installation crews, ordering equipment and materials, overseeing the warehouse activities. He performs our Manual J Heat Load Calculations to ensure equipment sizing is correct. He also works closely with our local vendors to make sure our customers get a fair price. What Ron enjoys about his job is the constant challenges that he faces on a daily basis and the fact that Bradbury Brothers provides a family oriented working environment. In his spare time Ron enjoys working on his race car, spending time with his son, hunting & shooting, and riding his motorcycle. Bethan came to work for Bradbury Brothers in June 2014 as a customer service representative. 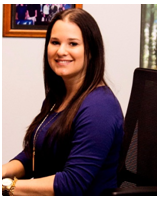 Bethan has worked at Bradbury Brothers the last three years after a career change from the auto insurance industry. She now manages the HVAC service team with her enthusiasm and passion for the business. She makes sure all our customers are cool and warm and works hard to make sure they are 100% satisfied with our service. Bethan is a California native. She attended school there, graduating from California State University of Channel Islands with a Bachelor’s Degree in Business. She began her career working for Farmers Insurance in San Diego and then transferred with the company to Houston, Texas in 2014. Bethan is married to Jason Bradbury (one of the Bradbury Brothers) and has a daughter Emerson, a son Camden and a Boston Terrier, Murphy. In her free time, she likes going on walks with her family and enjoys the outdoors. Her parents, sisters and niece joined her in Texas in 2016. Brittany is the plumbing service manager at Bradbury Brothers, where she leads a fantastic team of plumbers and office administrators to provide the utmost service to their customers, fellow employees, and community. Brittany has worked in many roles catering to the repair and maintenance services industry, including procurement, warranty administration, and leadership for both administrative and field staff members. Brittany has honed in her skills to focus on leading her team members to grow personally in their careers, while simultaneously building and growing the plumbing service division at Bradbury Brothers. 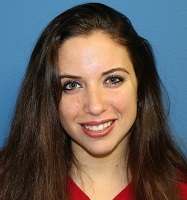 Brittany enjoys teaching Body Pump and Zumba Fitness classes, and dances any chance she gets. Brittany is a proud dog mother of three – Buttons, Lucky, and Corona. Darrel believes that good communication skills are paramount for success in any company, but it all comes down to one thing for Bradbury Brothers. How well you connect with the people you’re trying to help determines your ability to make a meaningful impact on their lives. By helping our employees to improve their listening skills first, Darrel helps our customers to be heard. Darrel has produced a series of training videos for technicians and office staff, taught weekly training classes, worked one on one with employees in the field and the classroom, and has developed many communication programs to better equip our employees to provide the ultimate service experience for our customers. Darrel has a diverse background in music composition, television production, residential sales, and commercial sales. He was recently a Speaker at the Service World Expo 2017 in Las Vegas.